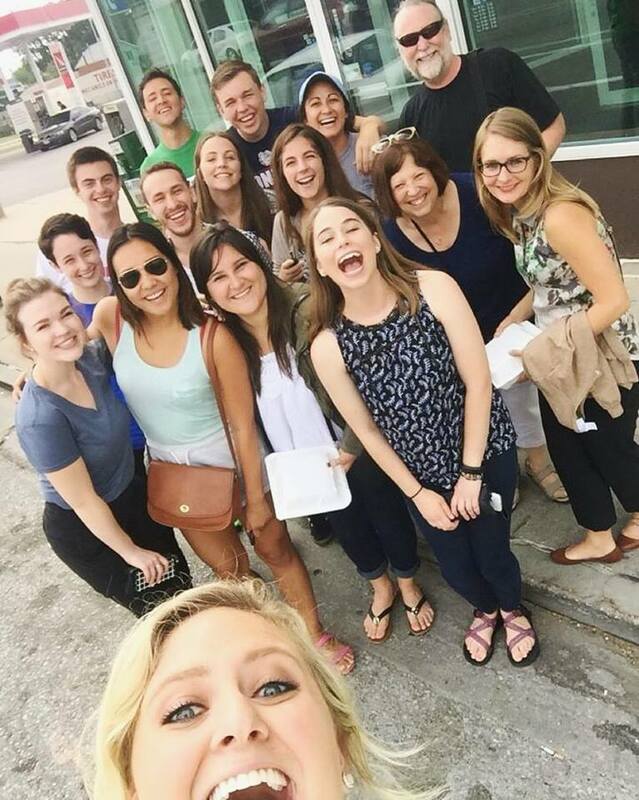 I firmly believe that Backpack Journalism changed me for the better within the month that we all worked together. It’s something that I would absolutely jump on to do again when the opportunity arises, regardless of where next year’s trip will be heading. I not only got to develop my journalistic skills of using cameras and setting up interviews, but I also able to see life through the eyes of other people and understand where they are coming from. It’s impossible to completely understand a lot of the pain and experiences that the migrants we met, as well as many migrants who have gone through the dehumanizing process of deportation, have gone through, but it’s not hard to understand that they are human beings who have gone through hell and back to do what they need to do to support their families, to see them again, and to find a better life. I started off the trip being fairly reserved to myself and didn’t branch out that much. I had only known two other people prior to the trip, so I mainly talked to them for the most part. But by the end of the whole experience, I think I can say I’ve made good relations with everyone on our team. And what a team we were; everyone worked flawlessly together and always had each others backs. Everyone was able to hone in on their own specialties during interviews and capturing b-roll and all the like. And everyone did their fair share of work, whether it was during the interviews or during cooking and chores back in our home in Nogales, Arizona. Our group’s last hurrah at Leavenworth Cafe. Photo taken by Aly Schreck. There were so many great moments on this trip, from volunteering in the Comedor by serving food to the migrants there and getting to have conversations with them to know them better, to waking up ridiculously early to get some beautiful early morning b-roll, to being able to have so much amazing food through the entirety of the trip (after having authentic Mexican tacos, I don’t think I can ever go back to Tex-Mex). But with so many eye-opening experiences throughout the trip, it was the little things that I really appreciated. Getting B-roll in the Buenos Aires Wildlife Refuge in Sasabe was one of the most calming experiences I’ve had. To be able to just sit in silence in the middle of golden plains, to just focus and listen to the sounds of nature around us, and to watch the sunset behind the mountains, was really a great moment for me, and made me really happy. At that point our group and seen and heard so much, that it was a good reflective and meditative break to have in the midst of all the hectic work we’ve been doing. Of course, with every great experience, there’s always a bad one. For me, one of the lowest days was when we drove up to Phoenix to see Operation Streamline take place. It was a lot for me to take in to see a judge dish out a guilty sentence every 30 seconds to 70+ individuals, who could only speak Spanish, and who were really given no other choice but to plead guilty. It was extremely frustrating knowing that a process like that exists, and even more frustrating that there’s nothing that we can do about it. That day I felt pretty defeated, but after hearing the stories of the migrants in the Comedor and seeing the determination they all had to find a better life, it gave me hope that one day, those people who all plead guilty will also be able to accomplish what they’re striving for one day. If there’s one thing that I could do differently based on what I’ve learned during this trip, it’s to start volunteering more. I have never been one to do volunteering work before, but after this experience I wanted to change that, and help wherever I can, whoever I can, whenever I can. I discovered the importance of volunteering, even in the smallest ways possible, whether it be serving food or cleaning dishes, or just being there for someone to talk to. This experience made me want to take what I’ve learned and apply it in different aspects of my life, to become a more selfless person, and to be more aware of the things that are happening around me. It may be cliche to say, but I really do believe that this trip was pretty life-changing and eye-opening for me. I absolutely look forward to the chance to be able to travel to another community, with another group of fantastic people, to make another great film about the lives of other people around the world that we live in. So, until next time, CU Backpack. When I first signed up to join the Backpack journalism group, I wasn’t entirely sure of what I was getting myself into. I only knew a little bit about the project beforehand, which was enough to get me to want to join, but I didn’t fully understand its purpose at the time. Before going on the trip, I just thought that this project would be about getting to hone in on your filmography and photography skills, to help you become a better interviewer or a better photographer. 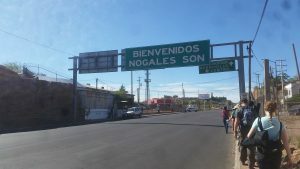 I knew that we would be going to a border town and doing volunteer work, but I guess I just didn’t understand the significance of what we would be doing before we actually did it. Now that we’ve returned from the trip and put together our rough cut of the documentary, I realize that this entire experience was so much more than just creating a film and working on those film-making skills. It was an unforgettable experience where we were able to have a first hand experience to see how immigration policy and the border affects the lives of those the policies are made against. We were able to talk to those who were affected and listen to their stories, whether they be triumphant, hopeful, longing, or heartbreaking. And more importantly, we were able to help in a sense, by being “servants,” as Sister Alicia would say, to those in the Comedor, by not only serving the migrants their food, but having actual conversations with them and listening to what they had to say. While I do feel like I did in fact learn a lot of things about both photography and filmography, I don’t think that was the most important part of the trip. The most important part was making those connections with the people down by the border, and being able to see them as other human beings, each with their own individual stories and hardships. It was being able to see the border policies in action and how much of a negative impact they have on the southern communities. It was learning from those we interviewed and hearing their stories as well, about what they do to help, and what we can do to help. So while I may not have come back from this trip as the next Kubrick or Coppola, I for sure came back as a person with a broadened perspective on the political issue of the wall, and a more open mind on the way I look at different issues in life in general. The end of our trip had shown up much quicker than I expected it to, and by the time I knew it, we were back on the road to return to Omaha. However, the van ride back home was a lot different than it was to Arizona. Before the two weeks, I was still getting to know everyone, and was still fairly shy, only having known two other people prior to the trip. But this time, the 22 hour drive back home was much more bearable, since these were people that I had grown close to and made friendships with during those two weeks. But, much like the first time around, it still consisted of a lot of sleeping, at least for me. As always, we stopped for some really good food at several different places, including a small restaurant in Hatch, New Mexico that served delicious chile-covered burritos, and another restaurant close to Santa Fe that served even more delicious tacos. In addition to those restaurants, we stopped by the house of an old friend of Carol’s, who served us all breakfast with bagels, fruits, cookies, and coffee. Included with breakfast was a blast from the past, where we were shown old yearbook photos of Carol (who was rocking the thick-rimmed glasses) and her friend. We were very grateful for her and her husband’s hospitality, and were glad we were able to make that stop. The trip back home gave us a couple of surprises along the way as well. We ran into a man who was running for office in the restaurant in Hatch, who gave us his quick spiel of why we should vote for him. Our vans got temporarily separated while looking for food through a confusion of directions. We even experienced a wreck right in front of us on the highway, where we pulled over for some of us to see what help they could offer (everyone, us and the drivers involved alike, we alright, no worries). Overall, by the end of the second day, we were all glad to have made it safely back home, and even happier to make it soundly back to our own beds in our respective residences. 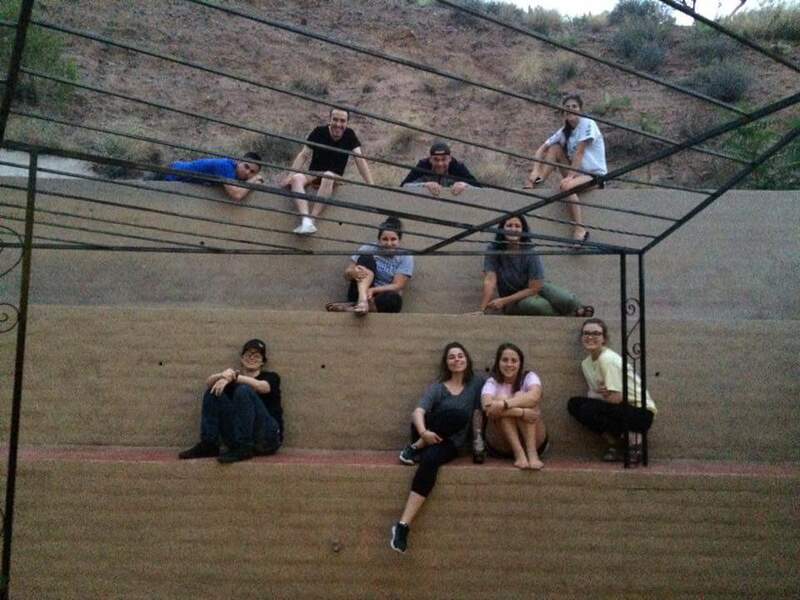 After spending two whole weeks in Nogales, Arizona in our own house, we had reached our last day in town. It had been a blast staying in the same home as everyone else and getting to know each other through games of Mafia, Tenzie, and Golf/Trash, through the number of dances parties that were held on the patio and in the kitchen, and through working together on meals for everyone (we never cared about having too many cooks in the kitchen). We had all gone through so much together; through times of both physical and emotional stress, we were always there for one another and always supportive of each other. We heard so many different stories from migrants and activists alike, interviewed so many people, and captured so much b-roll that we were all exhausted by the very end of the trip. So after weeks of grueling hard work, our last day was spent at Patagonia Lake in Nogales, Arizona, where we were able to relax before heading back to Homaha. The day was filled with swimming on the beach, ballet lessons, drone flying, good food, and great company. Even better was being able to end the day with a relaxing meditation session led by John, letting us completely unwind before going back to the house for the night. Despite the fact that people on the beach were laughing at us and commenting on how we looked creepy, all facing one direction with our eyes closed and our hands slightly raised, it was still a nice experience. It was a great break for all of us to finish off our trip and leave on a lighter note, and I couldn’t think of a better way to mark the end of our journey. “The only law is love your neighbor. Now you tell me how putting up a wall is loving your neighbor. You tell me how deporting women and children back to a place we know they will get killed is loving your neighbor. It may be loving yourself because you want to hold onto your things, but we are making decisions based on material things, not on human beings. And that is no way shape or form something that we cannot tolerate as American citizens.” – Father Peter Neeley, S.J. “[The migrants] are people with dignity who deserve everything, it is just that evil that makes them feel they don’t have any rights. I am sure you have seen at the comedor that people come in with a certain face and they leave with another face. Being treated well as human beings with dignity really lifts their spirits.” – Sister Maria Engracia Robles Robles, M.E. A lot of our days in Arizona started off very early, whether it be for getting b-roll or to get ready for the long day ahead of us. 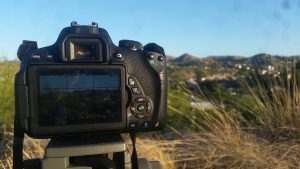 One day in particular, we were all out of the house we were staying in by 6 in the morning to take an early morning desert walk in Arivaca, Arizona, where we would walkfor two miles on the path that migrants take when they are traveling across the border. During this walk, we were lead by our tour guide for the day, John Heidt, or as we lovingly called Lil John, who is an activist that works closely with the No More Deaths organization. Throughout the walk, he would give us information one why the route we were taking was a migrant route, and described the grueling journey most of them take to get to this point. 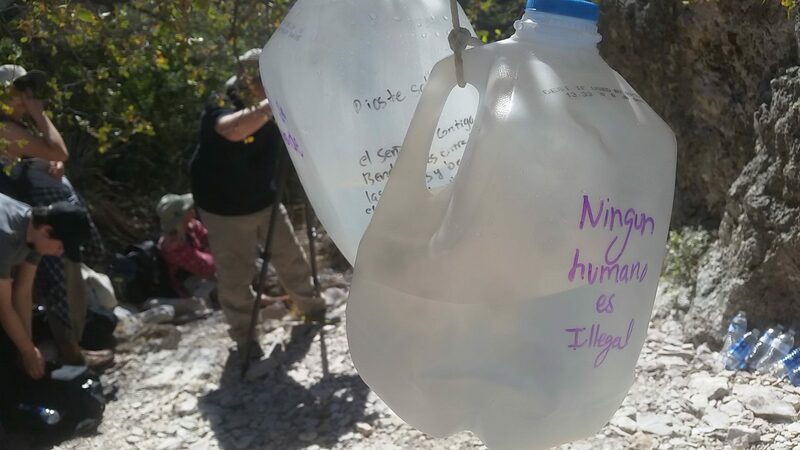 We stopped to listen at some points, and even walked to a makeshift shrine made by migrants that had bottles and jugs of water for travelers to drink from. We ourselves left many bottles of water and several cans of food for anyone who would take the trail. John spoke elegantly about the issue of migration to us and what these travelers go through to make it into the US. One of his statements that stuck with me throughout the trip was about how we, as Americans, tend to have borders in our ears, and unless we take those walls down, we cannot take down the actual wall. I spent a lot of time during the trip reflecting on that particular quote, and understanding that our ultimate goal of the trip was to, in fact, help take down some of those cultural walls through the final product of our documentary. While it was only two miles, it took us about 4 hours to get through the trip, and all of us were completely exhausted by the end of it; and this was only an insignificantly small fraction of the length that migrants who cross the border have to travel. It gave me a slightly better understanding of the hell migrants have to trek through, albeit a very small example of that. It made the drive back to our house much more reflective, trying to imagine walking all the miles that we drove out there to Arivaca. I guess you really can’t understand what others go through until you walk a mile, or a few hundred, in their shoes. 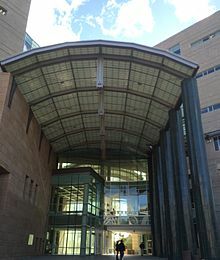 I heard the word “culpable” in the US Federal District Court in Tucson, Arizona during the hearings of detained migrants about 35 times yesterday. I would have heard it another 30 times if our group stayed in the courtroom for another fifteen minutes. 30 guilty pleas in 15 minutes may not sound right, but it unfortunately is: the plead of “guilty” was said about every 30 seconds in that courtroom. Operation: Streamline is an initiative that began in 2005 under the Bush administration in an effort to create a zero tolerance policy against the undocumented crossing over of migrants from Mexico into the U.S. Every migrant who has been detained meets with a lawyer, who strongly encourages them to plead guilty, and has their hearing within one day. These hearings are en masse, where up to 70 migrants are all tried in one courtroom session: rarely do they ever plead innocent. In exchange for their cooperation of pleading guilty, their sentences typically range from 30 to 180 days. This process with this many individuals happens every weekday in that courtroom, as well as a couple others along the southern states. Today I met a man while visiting the Kino Border Initiative’s Comedor in Nogales, Mexico. The Comedor is a place where migrants who have been deported back to Mexico can go to get a couple of hot meals twice a day, as well as any other help and assistance that they may need. It’s a place of refuge for those who have no where else to turn after they’ve lost everything, and it’s filled with volunteers who care greatly about each individual and do their best to make them feel important. The inside of the Comedor is covered with posters that all start with “Tengo derecho a…”, stating the rights that everyone in that room deserves to have. The people who work at KBI do everything they can to make sure those who were deported understand they have these rights, and help them share their stories of the trials they’ve faced resulting in them being back in Mexico. Today I had a conversation with someone who kindly pulled me off to the side away from another conversation I was listening to. The first thing he said to me wasn’t to ask my name, or to ask how I was doing. Instead, the first thing he did was shake my hand, look me in the eyes, and ask: “Are you a Christian?” I was somewhat caught off guard by this question, not expecting this to be the beginning of our conversation. I hesitated for a moment in answering him: I haven’t been a practicing Catholic since I was in middle school, and even then I never really considered myself a devout Christian. But given the fact that this was the very first thing this man asked me, I knew he must care deeply about his faith, and was looking for someone to discuss the matter. Today I lied to man about my faith and answered him with a smile: “Yes, I am a Christian.” He immediately began to confide in me, and we dove into conversation for the next several minutes. His name was Francisco, and he had been in Nogales for the past 2 weeks. He was separated from his wife Roxanne, who was stilling living in the United States, about 3 months ago after he was detained and deported back to Mexico. His son, Daniel, is currently living with his sister in a city 8 hours away from Nogales, and hasn’t seen him in awhile either; he missed his 7th birthday in the middle of April, and wished that he could have been there to see him. His son will be taken to his wife later in the month, since he has all of his legal documents, as does everyone else in his family but him. Today I saw the personification of determination in Francisco. Despite everything that has happened to him, he kept assuring me that he would see his wife and son again. “I know I’ll get my paperwork soon, and I can see my family again. I know it’s possible with God.” He asked me to pray for him and his family, and to keep them all in my thoughts. He also told me to pray for everything else in this similar situation. “I’m not the only one going through this; there are so many others that are going through different things, and they all have their own story.” And he was right: just earlier in the Comedor we heard stories of other migrants who were just recently deported and what had happened to them. Some tried to hitch rides on a train but fell off, almost dying. Some tried to walk through the desert, only to be detained after the grueling journey defeated them with dehydration and exhaustion. All different people with different stories and different backgrounds. Today I heard but one example out of hundreds of thousands of stories about the hardships migrants face when it comes to finding a better life. I saw how much his faith mattered to him that he would ask me, someone he believed to be a Christian, to pray for not just him, but for all other migrants facing the many different facets of injustice. I admired his devotion to his religion, that he can have so much faith in God and still be so optimistic to see his family again, and ask of others to have faith in his mission as well. Today I prayed for a man after years of not practicing any religion, in genuine hope that he will see his family again. Today I met one man out of so many others who just want to reach a better life across the border. Today I met a human being. 37 hours and 1,450 miles later, we’ve finally reached our destination in Nogales, Arizona. We’ve bunkered down in a guest house 15 minutes away from the border, where we’ll be staying for the next two weeks. Most of us, if not all of us, are pretty tired from our two-day long pilgrimage, and I can imagine we’ll all sleep well tonight. But despite the exhaustion, this has already been a great trip so far, and I’m looking forward to what else the rest of this journey has to offer. Our car rides have been filled with friendly conversations of trying to get to know each other, singing and jamming out to different kinds of tunes, starring out the window to appreciate the constantly changing scenery, and many spread out moments of quiet nap time. Though, to be honest, gazing out the window and taking long dispersed naps is what took up most of my time. And everyone else’s, for the most part. But it’s been great getting to know everyone that I’lll be around during this trip and making new friends. I know everyone here will be an amazing part of this trip and contribute so much to the final product of our documentary, whether it be through filming, interviewing, editing, etc. Even within the first few days of boot camp, everyone was able to show where their niche was and what they’re best at, so that will all easily translate into all the hard work we’ll be putting into this film. As we drove through the deserts of New Mexico and Arizona, I began to think about the people who risk their lives just to make it to the United States. Many of these people walk hundreds of miles through hot, dry weather just to find a better life, no matter how long that will take them. Seeing and experiencing the hot desert landscapes of these southern states gave me a little bit of insight into what some of these migrants go through, but I know I will not be able to fully understand everything they have to go through. It will be quite the learning experience to get some perspective from the people we’ll be interviewing over the next couple of weeks. Tomorrow we’ll already be traveling across the border to take a look around Nogales, Mexico and see where we’ll be going around during this trip, and will already be conducting our first interview. I’m more than excited to begin this learning experience, and can’t wait to do it with all the people I’ve gained as friends the past week.